I hear the question often, ‘why retreat?’ It sounds like a negative concept suggesting defeat and withdrawal. And the spiritual life is never easy, so if I acknowledge retreat it only further undermines my confidence in approaching a dimension of reality that lies beyond reason. 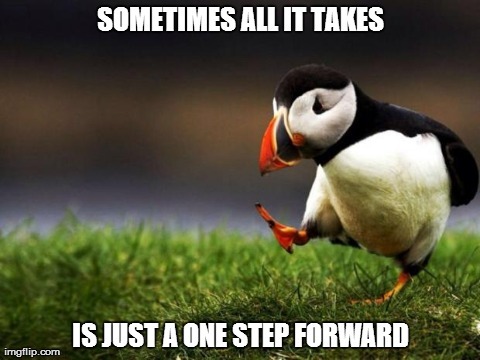 There is a common phrase, ‘Two steps forward, one step back‘. It speaks of the slow place of progress in any sphere of life. However, when it comes to Retreat I reverse it and suggest that in taking time with God it’s always, ‘One step back and two steps forward‘! A retreat affords us the space to do three critical things that inspire and enable personal development. First, a retreat affords me that rare luxury of space away from my ‘normal’. Familiar sights, sounds and responsibilities easily focus my attention on what isn’t working. I find it hard t imagine anything beyond what has emerged as the normality of my life experience. If there are elements I don’t like my natural human response is to project blame anywhere but onto myself. Yet I alone have the keys to structuring my life, regardless of the bum hand I feel life has dealt me or the people who ‘just don’t understand me‘ and now conspire to make my life miserable. In the space a retreat offers I have an opportunity to de-clutter my brain and rediscover objectivity. Remember perspective, whilst feeling like reality, is never anything more than ONE perspective, albeit my own strongly held one. I can change my perspective, though it takes a plan and time to do so. Second, a retreat focuses my attention upon key content. Most of the time my brain is like an eight lane highway along which myriad thoughts trundle, backwards and forwards. Trying to make the time to ignore the traffic noise and narrow my focus onto one thought that might offer a key to unlocking my overarching mood is rare in the pace at which we live life, and our electronic availability. We can be ‘on air’ 24/7 if we want. It’s a discipline to maintain a work period distinct from leisure and family time. It’s a double discipline to resist reaching for phone and tablet first thing in the day to scan messages and social media content. When I dumb down the traffic flow and become attentive to one theme over a day, I am surprised how many fresh insights I gain across a wide range of personal concerns. Finally, a well led retreat will encourage me to determine what simple, practical and manageable steps I can take to ensure what I have encountered on my retreat does not disappear as my mind resumes its journey on a highway to nowhere. 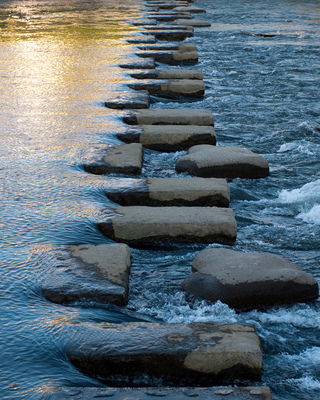 Such practical steps are the stepping stones that establish a pathway leading me toward a fuller engagement with God and a deeper understanding of myself, God, neighbour and personal context. Retreat for me has become a regular means of ensuring my overall well being. I increasingly know that I can make life work for me and not simply get up to work for life. Hence I am pleased to announce that the Retreat days here in the Oratory have been posted for the next year. There’s a wide range of subject matter and taking time out to benchmark where you are at and to audit your spiritual well being is something that can only add value to the quality and content of your daily life.